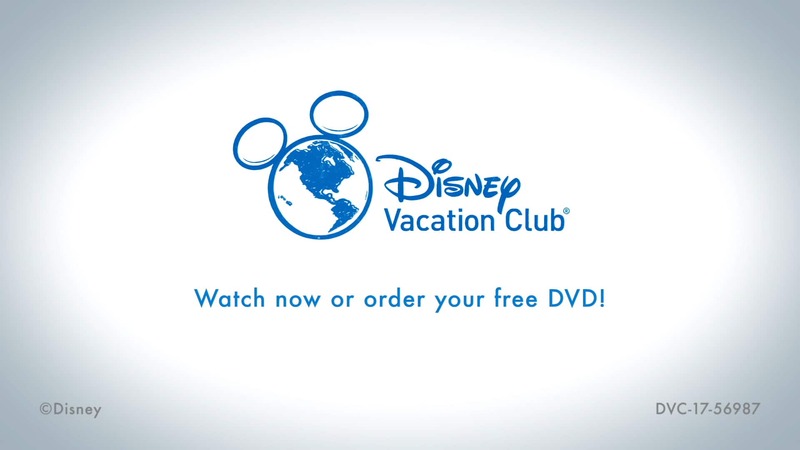 Watch a video now or order the free DVD—and discover where you can vacation with Disney Vacation Club. Enjoy a DVD or watch online now to see where you can vacation as a Member. NOTE: You must be 18 years of age or older to order a free DVD. In this video, you'll explore the magical world of Disney Vacation Club—a flexible vacation ownership program—and learn how you can vacation when, where and how often you want (accommodations subject to availability). Order a free DVD and have it mailed to your home. You may also view the video online now or anytime you want! Join TV travel guru Samantha Brown on a tour of Disney Vacation Club Resorts at Walt Disney World Resort, Disneyland Resort and Hawai'i. Plus, discover all the places around the world where you can vacation when you purchase directly from Disney. Explore outstanding Disney Vacation Club accommodations designed with your comfort in mind. Discover the just-like-home amenities—like a full kitchen, washer, dryer and private bedroom(s)—offered in One-Bedroom Villas and larger accommodations. Discover how you can stay in the middle of the magic year after year and create unforgettable vacation memories with loved ones. Explore the benefits of Membership and discover how it can fit your family's changing needs. Hear from Members about the value Disney Vacation Club brings to their family. Get a tutorial from an experienced Vacation Guide about using the Vacation Points system for flexible vacations—with accommodations to suit a variety of vacation styles and party sizes.